Go Bananas with NEW schools workshops from fairandfunky! 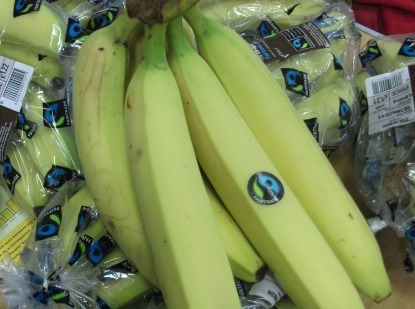 Fairtrade Fortnight runs from February 24th to March 9th and this year’s theme from the Fairtrade Foundation is “Stick with Foncho to Make Bananas Fair!” In response, we are offering a range of NEW workshops for your school. This 90 minute workshop for Years 5/6 develops knowledge of Fairtrade and trade rules, focussing on the banana trade in the Windward Islands. This 60 minute creative workshop for KS1 introduces the concept of Fairtrade through games and interactive roleplay. Each participant will then make a Fairtrade super hero mask using recycled packaging. 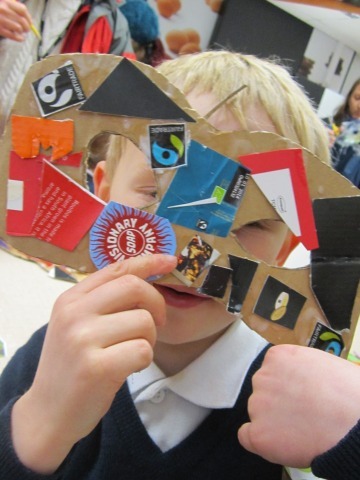 This 60 minute creative workshop for KS2 develops knowledge on Fairtrade and the role of individuals in the supply chain. 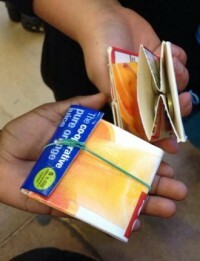 Each participant will make a wallet using recycled packaging. All fairandfunky workshops are led by two members of staff: Helen Robinson and Sophie Bebb; both of whom are CRB checked. Helen is a trained primary teacher with experience across Kirklees, as well as teaching with VSO in Kenya. Sophie is a qualified artist with experience in leading community workshops, as well as working with the Oxfam Youth Board. *costs assume a class size of approx 30 students. Travel costs are only included to schools within a 16 mile radius of Holmfirth. For information on all fairandfunky workshops please visit https://www.fairandfunky.com/school-workshops/ or contact Helen and Sophie to discuss individual requirements.